The Logan County Chamber of Commerce would like to recognize Doug Zimmerman and Zimmerman Realty, Ltd as the November Business of the Month. 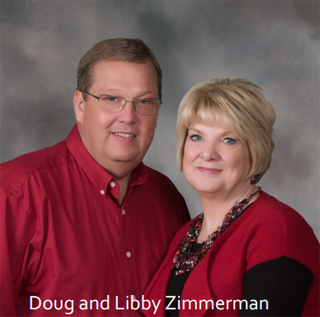 Zimmerman Realty, Ltd was originally established by Doug’s father, Eldon Zimmerman. In 1988, Doug joined the company after obtaining his Broker’s license. In 1990 the business was handed over from father to son and Doug has continued to grow the sales production of this company into a full service real estate office for buyers and sellers of real estate. This full service includes providing appraisal services and includes a unique expertise in commercial, farm and waterfront properties. The realty team includes Doug’s wife, Libby, daughter, Hayley Palmer, son-in-law, Jason Kuba, along with 24 experienced agents and 5 additional staff members. They provide two convenient locations, Bellefontaine and Indian Lake, with facilities that offer a professional and comfortable environment for conducting confidential real estate closings and meetings, contract preparation, and office scanning and faxing services. With all the technological enhancements for mobile devices, Zimmerman Realty is progressively improving on website technology that adapts to customer’s mobile devices. Their helpful staff is always eager to serve and offer “walk-ins” and a welcoming smile! Doug has served in numerous professional and community leadership positions, including Logan County Chamber President, Regional Real Estate Board President, County and State Realtor Boards, Mary Rutan Hospital Board, and as the United Way Campaign Chairman to mention a few. In 2012, the Midwestern Ohio Association of Realtors awarded him “Broker of the Year” in recognition of his contribution and leadership abilities in the real estate industry and in his community. 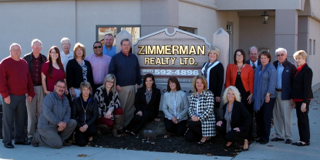 In 2015, nine Zimmerman Realty agents were acknowledged for their level of achievement by the Ohio Association of Realtors President’s Sales Club. A life-long resident of Logan County and an owner/broker of Zimmerman Realty, Ltd for over 30 years, Doug appreciates the Logan County Chamber of Commerce because it promotes his business in its Business Directory, both online and in printed form, it encourages visitors and prospective residents to patronize the local businesses, it provides networking opportunities to aid in economic growth, it supports legislation affecting the local businesses, and it cooperates with the Indian Lake Chamber in promoting Logan County’s beauty and resources, as well as, promoting the industry, retail and agricultural opportunities.